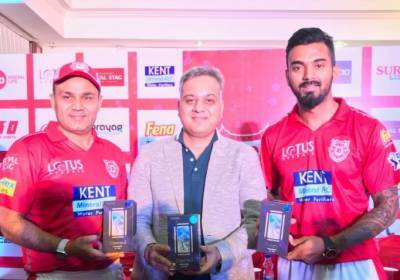 TECNO Mobile, the premium smartphone brand from TRANSSION India, today announced its association with the Indian Premier League (IPL) team Kings XI Punjab as their Official Smartphone partner. The team is scheduled to play its first match against Delhi Daredevils on the 8th of April 2018 on their home ground PCA Mohali. Riding on the competitive spirit of the team, the primary aim of this association is to further amplify TECNO’s overall brand awareness and establish a strong brand recall amongst the youth of India. The association comes immediately after the launch of TECNO’s Camera-centric” Camon i and Camon i Air smartphones in India. The “Best in any light “proposition of TECNO Camon series resonates well with the Indian youth looking for a great smartphone with a superlative camera performance that can help them shoot at any time of the day, in any light condition. TECNO is ambitious about capturing audience attention in a big way and drive value from this association using the most prevalent digital platforms and a 360-Degree marketing approach. Under the association, all Kings XI Punjab players would be seen sporting TECNO logo on their caps. The TECNO Camon portfolio currently includes two models Camon i & Camon i Air priced @ 8,999 & 7,999 respectively. The standout feature of the Camon smartphones is Full View display with its photographic prowess that allows users to capture crisp & clear pictures in any light conditions. Click here for more news on IPL.